This baba ganoush recipe proves how easy it is to make this beloved Middle Eastern dip at home. Charred aubergines are whizzed up with garlic, olive oil, lemon juice and herbs to create a smoky dip to be served as part of a mezze feast. 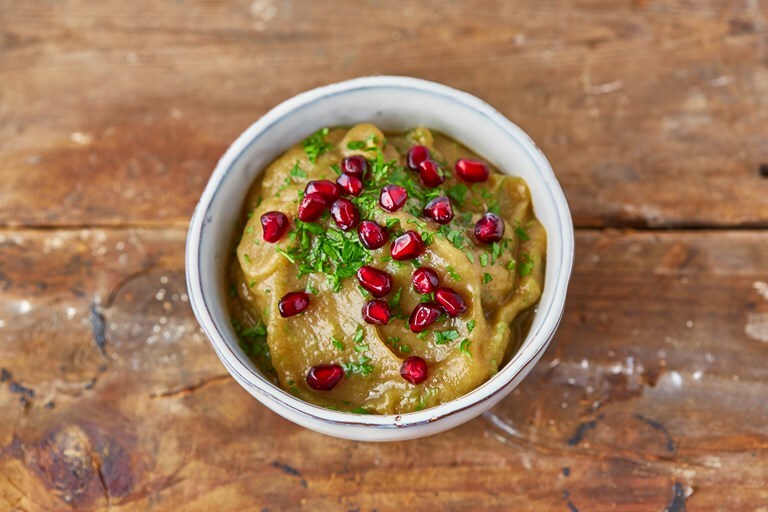 While many modern baba ganoush recipes contain tahini, traditionally this would turn it into another dish called Moutabal, so leave it out if you're after the real deal.